How Well Do You Play Together? Do you play together well with others or are you focused on what others can do for you? Diane shares. “May the God of endurance and encouragement grant you to live in such harmony with one another, in accord with Christ Jesus, that together you may with one voice glorify the God and Father of our Lord Jesus Christ. Therefore welcome one another as Christ has welcomed you, for the glory of God” (Romans 15: 5-7). Yup! I heard that from my own mom and then I said it to my own children. (Aack!) The point being, what does it mean to play well together? God, being the supreme one that He is, has that answer for us. In the verse above, God teaches us that hospitality and encouragement towards others is the perfect combination to “playing well” with one another. By doing so we are choosing to “glorify” God. This can be difficult when dealing with illness and its effects on your body. Let’s take a moment and think of practical ways we can we can speak with “one voice” as God’s children. A simple one like sharing a cup of coffee or iced cold lemonade with someone who God brings to mind isn’t too time consuming or energy depleting. It can, however, boost both parties moral. The next requires a bit more energy. If physically possible, go to a doctor appointment or chemo session with someone. It may sound silly, but just think, isn’t it nice to have someone with you while you wait? Having that company can bring joy and comfort. Lastly, how about offering a gift, just some little tid-bit, letting that person know they are loved? When possible I love to create something handmade for someone specifically. If unable, the Dollar Store can be an excellent resource. 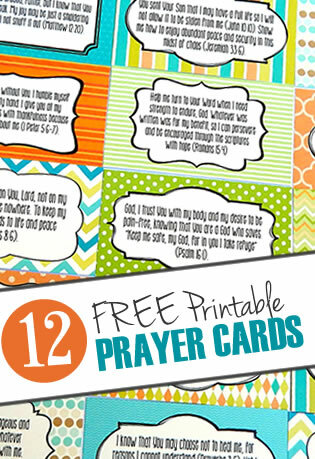 There are many ways to express the love and encouragement that Jesus freely gives us. Yes, having a chronic illness it makes it more difficult. But making the effort to live in “harmony” just as the Father desires, is surely a worthwhile summer activity! Prayer: Father, thank You for blessing us with Your welcoming compassion and love. Fill us each with the desire to share hospitality with others. Blessing them with the same compassion, love, and joy, that You grant us daily. Amen. What is one of your favorite summer time memories? What are some of the ways you have chosen to “play well” with others God has put in your path? 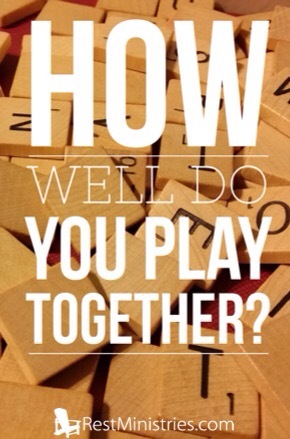 9 Responses to How Well Do You Play Together? What a great analogy! Thanks – such good suggestions :). We’re currently in Winter now in Australia. However, I’m enjoying a cyber-Summer with my American friends! While not quite the same, I’m grateful for the “cyber teas” we get to share together, when friends come to mind. Sending some cooling lemonade your way today! I do remember as a child how wonderful it was to welcome summer vacation. Often my family ( my father was in the military ) would be moving to the area of his new assignment so it meant some goodbyes to friends but hello to new ones. But there were still times for old fashioned play and swimming and bike riding. As an adult and a school teacher, the end of school also meant some goodbyes – then rest from teaching for a month or so before revving up for some new hellos. Your analogy to how we are to transfer those “summer feelings” to bring some sunshine into others’ lives is such a good one. For those of us chronically challenged, it may be a winter time even when the calendar dictates ( and the weather, too ) that summer has arrived. Bringing cheer in all seasons is something each of us can do and I know I welcome encouragement from another in all ways it might be expressed, too. Thanks for your encouragement today ( and many other days, as well ), my friend! I just recently came across this website looking for some kind of support where I don’t get any within my group of friends or family. I think if they understood what was going on, it may be easier for them to offer support, but my condition is extremely vague and difficult to express. I have orthostatic intolerance and syncope, which I was diagnsoed with after having a major surgery for a hiatal hernia repair. They had cut my vagus nerve during the procedure and now I not only suffer from the two things but I also have a bearing down sensation almost every second of every day that causes the extreme anxiety and sleep deprivation. So, I live my days very uncomfortable and very fatiuged due to the lack of sleep I do get. I’m lost and have delt with depression because of all this. I don’t know what to do and the doctors have no fix or medication to help with my struggles. I haven’t given up on life yet, but there are days that it does cross my mind. I am strong and continue to be to the very best of my ability. I’ve prayed to god every night with tears streaming down my face and begged for him to relieve me from this torture. Please, if anyone out there can offer some extra advice or just words of comfort, I desperately need it. Thank you. Oh Jason! That sure sounds difficult to deal with! I’m praying now for you. I’m DELIGHTED that you’ve found Rest Ministries! There are many many people here who will truly understand something of what you’re dealing with…. even though we may be ill with different conditions. This is a very loving place where people care, pray & respond, as their bodies allow them to. I know that dear Lynn Severence & Diane Kalata have both tried to reply to you here, but for some reason it wasn’t creating a box to type in. The private group of devotional writers are praying for you. Praying this encourages you. Jason, kerryn let me know our comments were working again! I’m so thankful. I did message you via fb, something we don’t normally do, I don’t know if you received it or not, but now I’m happy to respond this way. I just wish to agree with Kerryn by saying so glad you did find RM. It is such a special group of people here. Many struggling with illness, and family and friends not understanding their circumstances nor what they are feeling and enduring. I myself have truly had to rely on God, just like you at times I’ve cried, begging for relief, and often in those times I found the relief came when I would praise Him through music! Maybe that’s sounds crazy, but I’d just sing to the Lord, Sometimes just a refrain was all I could manage, but God knew my heart, and in that praise I found His peace. Ah – the regular comment section is still not showing when I come to this page BUT clicking on the “Reply” by another’s comments will bring it up. JASON – we want you to come back and find all this encouragement. Diane Kalata and I did message you via Facebook as your name listed “here” with your comment led us to your FB page. We were so intent on making sure you felt welcome and understood after sharing your comments. We were beyond frustrated about not being able to comment here!! IF you do see these comments now on this RM devotional – you will find our FB messages to you in the OTHER folder that is in the FB “messages” section. Look to the top left of that page and you will see the word, “Other”. It is FB “safety net” so non-friends don’t send lots of stuff BUT it was our only resource to reach YOU. As we are not friends of yours on FB ( and hopefully we might be if you can get any of our notes 🙂 ) that is where our notes are. I will leave my comments now to these as I shared a lot with you on the FB note. Hope to hear from you soon! We are praying fervently for you!